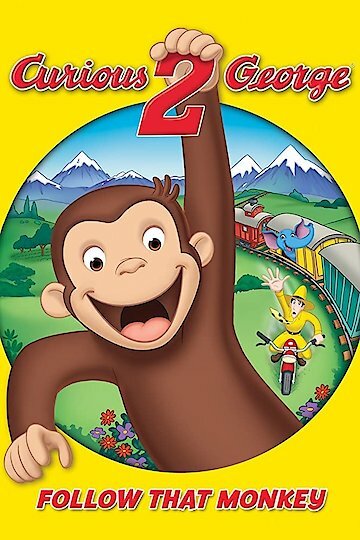 Watch Curious George 2: Follow That Monkey! Curious George 2: Follow That Monkey! is the sequel to the movie Curious George. Ted has to rush to the museum where he works. Ted has to convince his boss that he would be the best person to take over running the museum when Mr. Bloomsberry retires. Ted is tasked with writing a presentation about how he envisions the museum. Ted is nervous because he has to present his ideas to the board of directors for the museum. After Ted returns home George is able to convince him that they should go to the magic show. During the magic show Kayla the elephant disappears during an act and George runs off to try and find her. George eventually finds Kayla and they run off through an exit door. The Magician Piccadilly goes to find Kayla and she is gone. This leads to Ted being questioned about the disappearance of Kayla. During all the commotion Kayla and George head back to Ted’s apartment. While at Ted’s apartment they see a newscast about Kayla’s home and her siblings. Ted comes home and discovered that George and Kayla are there. Ted makes the decision to return Kayla to her owner. On the way back to the theater George and Kayla get lost after seeing an advertisement for a train. This leads to an adventure with Kayla, George, and Ted. They make it back to New York and return Kayla to Mr. Piccadilly and all is well. Ted makes it back in time to present his vision of the museum to the board of directors. Sadly Ted did not have time to create a presentation, so he wings it. His presentation blows away the board of directors and they decide to leave the museum in his care. More Like Curious George 2: Follow That Monkey! Curious George 2: Follow That Monkey! is currently available to watch and stream, download, buy on demand at Hulu, Amazon, Vudu, Google Play, iTunes, YouTube VOD online.